If you are looking for investment, wealth management, or retirement advice, you’ve come to the right place. Advisors who hold the Certified Investment Management Analyst, Certified Private Wealth Advisor, or Retirement Management Advisor certifications are advanced practitioners with the experience and knowledge to understand your needs, however complex, and can provide you with trusted and meaningful guidance. We invite you to learn more about the CIMA, CPWA, and RMA certifications and to use our search tool when you are ready to find an advisor in your area. How can InvestmentHelp.org help me? Investing and managing wealth is becoming increasingly complex and can be intimidating for many consumers. While it is important to become educated about your finances, it is even more important to know when to seek professional advice. Whether you are trying to grow your wealth, preserve your wealth, plan for the future, or leave a legacy, InvestmentHelp.org is designed to help you find the right professional.  Since 1985, the Investments & Wealth Institute (formerly called IMCA) has been educating advisors to help individual investors and institutions manage their investments through the application of leading financial concepts, theories, and advanced strategies. We have seen, time and time again, that knowledgeable investors, who can articulate their needs and goals, are better prepared when they explore and eventually engage in an advisory relationship. Whether you are establishing your first advisory relationship, or considering making a change to an existing one, the Institute is the credentialing body for three of the financial services industry's leading certifications. Each of these certifications ensures that your advisor has mastered the right kind of specialized knowledge and skills for your needs. These are professionals who embrace important traits, such as objectivity, experience, and expert evaluation. Further, many Institute members have earned multiple credentials in order to provide more comprehensive and complete services for their clients. Which type of advisor is right for you? There are hundreds of financial services credentials, with varying degrees of credibility. It's easy to see why investors can be both confused and overwhelmed. The bottom line is not all credentails are created equal and very few meet the high standards of third party accreditation. Look for credentials that follow the "Four E's." Experience, Education, Examination, and Ethics. The following credentials share this important distinction. Those who have earned these certifications have met an experience requirement, passed background checks, completed an education requirement, succesfully completed a comprehansive certification exam, and adhere to a Code of Professional Responsibility. In addition, each has a continuing education requirement to ensure that their knowledge is kept current.Today's investors need expert guidance and a qualified advisor for the job. CIMA professionals are qualified to conduct advanced portfolio construction. Sixty percent of investors value investment management strategies and expertise over other competencies when looking for an advisor, When working with a CIMA professional, you’re gaining the expertise of someone who voluntarily attained advanced competence as an investment advisor or consultant. More than half of CIMA professionals have 10 or more years of experience as financial advisors. CIMA professionals have the specialized knowledge and experience to properly guide you through complex financial challenges. CPWA professionals take a holistic and multi-disciplinary approach to wealth management that includes wealth strategies, estate planning, wealth transfer, behavioral finance, family dynamics, tax management, and legacy planning. CPWA professionals typically work with investors, families, business owners, and other high-net-worth clients who have sophisticated needs and a minimum net worth of $5 million. RMA professionals provide retirement income planning and management, startting with the broad context of understanding a client's needs, human capital, social capital, and financial capital. Advisors with the RMA certification take a goals-based approach to retirement planning and incorporate practical tools including a household balance sheet. RMA professionals provide andanced strategies to help manage your retirement income needs and build retirement income plans that mitigate risk, provide inflation protection and potential growth. While InvestmentHelp.org does not directly provide investors with financial, investment, tax, or legal advice, we can provide you with access to the best and brightest professionals for your investment, wealth management, and retirement needs. We hope you find our resources useful in your journey to become a more educated investor. Why work with a CPWA® professional?